Isn’t it time something got easier? miCare is changing the game when it comes to healthcare. Your well-being matters to us. That’s why we’ve designed the miCare Health Center to make it faster, easier, and less costly for you to get the care you need. How often have you avoided seeing a doctor because it just wasn’t convenient? miCare removes the typical frustrations associated with getting timely care. With miCare, you never have to take a whole day off or drive across town to see a doctor. Your Health Center is nearby, and your wait will be less than two minutes when you arrive. 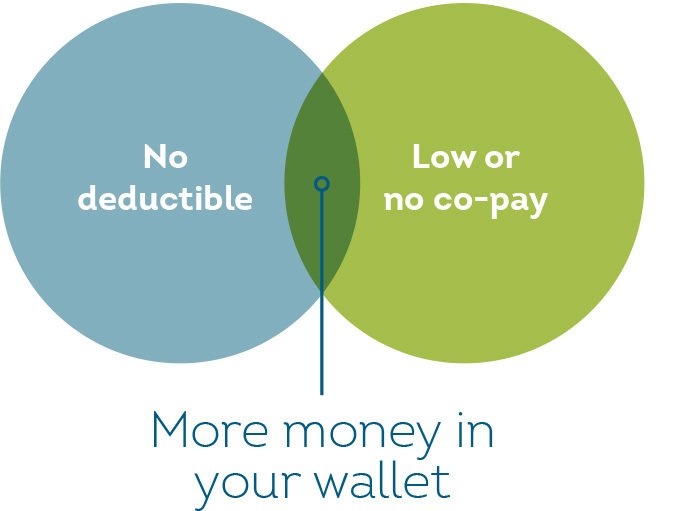 Your out-of-pocket costs are minimal because there is no deductible to meet. Office visits, lab work, and some prescriptions are supplied at no cost (or with a small co-pay). You’ll get the right care at the right time, even when that means a same-day appointment. You’ll also spend more time with your doctor and receive more personalized care. What can miCare do for You? normally receive at a traditional office visit. We can handle all your day-to-day care and even help you coordinate other types of specialized care as necessary. When you’ve been diagnosed with a chronic condition (diabetes, high blood pressure, etc. ), miCare can support you. It’s easier than ever to stay healthy, as miCare covers preventive services from flu shots to your annual physical. Your miCare Health Center is well equipped to help you manage a short-term illness or a minor injury. Whether you’re monitoring a chronic condition or simply ready for a wellness screening, miCare can handle routine bloodwork. Your miCare physician will provide all the services that you’d receive from a primary-care doctor in a traditional clinic, but at a lower cost and with greater convenience. Your Health Center may also be staffed with physician assistants, nurse practitioners, and registered nurses. All miCare clinicians are empowered to provide you with highly personalized care. They will listen to your concerns and help you improve or maintain your health. 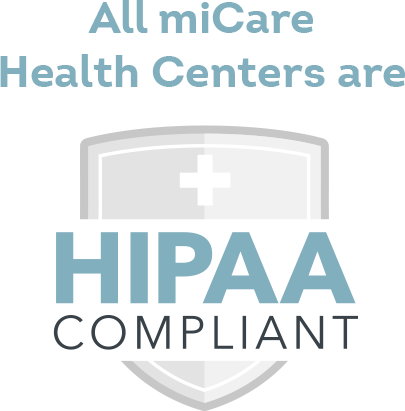 Your miCare Health Center adheres to the same privacy rules as any other doctor’s office, as mandated by federal law. Your medical records are private and are not shared with your employer.